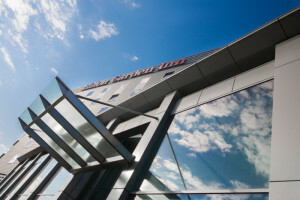 The Conference will take place in the Hilton Garden Inn Hotel, which is a 15-minutes walk from the Wawel Castle and 30 minutes from the Main Square (RynekGłówny) in the centre of the beautiful city of Cracow. An letter of invitation will be sent via email or by post by special request after individuals register to attend the XXth ISBC. Poland’s power grid supplies 230V/50 Hz current for which round, European-style, two pin plugs are required. Direct connections with almost all countries are available. The conference organisers will not be liable for any kind of personal injury or property damage during the conference. Participants are advised to make arrangements for their own personal insurance.